We are a 100% volunteer organization and we strive to work through a large number of emails and applications as quickly as possible. We appreciate your patience and understanding! Please read through the information on our website thoroughly before submitting your application. If you have a question that has not been answered here, please feel free to contact us! As you consider adoption of a rescued Boston, please stop and give some thought to the following: Are you looking for a very young Boston Terrier with the true breed standard appearance who is in excellent health and is exceptionally well behaved? If your answer is yes, it is important for you to realize that while some of the dogs have all these attributes, the majority do not. If you are seeking the "perfect" Boston, a rescued Boston will probably not meet your expectations and may not be the dog you are looking for. However, if you truly want to open your heart and home to a less than perfect Boston Terrier who will love you like no other, please see our list of most deserving Bostons who need a family like yours! 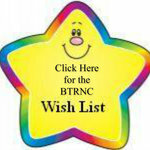 Application fee: BTRNC has found it necessary to institute a $15.00 non-refundable Adoption Application fee. This fee will be applied to our ever increasing veterinary costs and other expenses related to saving Boston Terriers. The fee should also help ensure the commitment of applicants to adopting so that our volunteers focus their time and efforts on those applicants of serious intent. 2.) Have valid driver's license or other form of identification such as passport, military ID. 7.) Understand that Boston Terriers must be INDOOR DOGS and are not to be tied or chained outside. 8.) Have children over 5 years of age. Applicants with children under 5 years of age will be considered on a case by case basis. 9.) Be ready for the financial/time commitment and responsibility necessary to adopt a Boston Terrier into their home. For example, many Bostons are high energy and require the owner provide them more exercise than would be needed for some of the other breeds. 10.) Understand that our adoption process takes several weeks to complete and includes application screening, vet check and home visit. 11.) Realize that our dogs may have been traumatized before coming to BTRNC and may undergo an adjustment period in a foster or new home. Patience and understanding are a MUST when dealing with rescued dogs. 12.) Never have been charged with or convicted of any crime related to the neglect or cruelty to animals. 13.) Understand that filling out this application does not guarantee that it will be approved or that the Boston that is desired will be the one placed in the home. Sometimes it is a combination of circumstances that make a home unsuitable for the Boston Terrier. What is the timeline for adopting? Once application is received, we will check with your veterinarian for a reference. If that reference is questionable, we will be unable to move forward with your application. 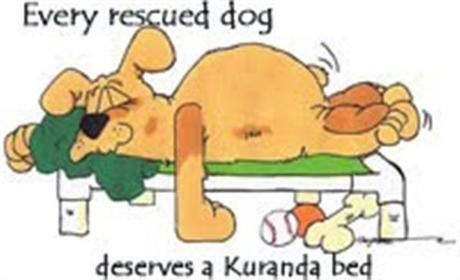 If veterinarian reference is acceptable, we will call you to review your application. Allow at least two weeks from the time you sent the application. Allow at least two weeks from time of home visit before hearing from us regarding approval. Once approved, we will have the Foster Family of any available dog(s) of interest contact you to discuss. Allow at least one week for Foster Family to contact you. Allow at least two weeks to be contacted following conversation with Foster Family regarding adoption of the dog(s) discussed. Both you and the Foster Family would need to agree that the dog in question is right for you. If so, we will move forward. If not, we will continue to discuss other dogs. * If we do not currently have a dog or dogs that you would want or that would be suitable for your home and family, we will follow up with you when we do. Q: When can I come see the Bostons that are available? Our Bostons reside in the homes of our volunteers; therefore, we have no facility for viewing. Q: I do not live in your service region of NC, SC, VA, MD, or GA. Does that mean I cannot adopt from BTRNC? We do consider adoption out of this area for seniors, special needs Bostons and pairs of Bostons who must stay together. The applicant must be close enough to do a one day ground transport. Please complete the application found on our website. By far, the best way for you to be considered is for us to have each question answered accurately and completely on the application. Q: Will I receive notification of the status of my application? We receive a tremendous number of inquiries and applications; therefore, we cannot respond to all of them. If you do not hear from us within 2-4 weeks of sending your application, it is because we either do not have a dog that meets your specifications and/or we have concluded that adopting from us is not appropriate. Q: After I send you my completed application what happens next? If everything is in order on your application and we have or expect to have a dog that meets your specifications, our adoption coordinator will contact you to further review and discuss your application. She will also contact the vet you provided for a reference. A home visit may be completed by one of our volunteers to meet you and evaluate your home for placement. Some of the factors that influence this are whether we have a Boston that may meet your needs at the time you apply, the location of your home, availability of volunteers to do a home visit, etc. Therefore, it can take only a couple of weeks or it can take months. If you desire to adopt quickly, we suggest you adopt from your local animal shelter. Q: Where can I find the Adoption Application? You may access the application by using the link along the top menu bar of this page.